Should You Install vRF on Your Property? If you’re looking to upgrade your HVAC systems, it’s time to take a look at the at a cutting-edge system that can save you money and time. Variable refrigerant flow (vRF) is the state-of-the-art innovation in HVAC technology and it’s particularly well-suited to multi-unit buildings. A vRF is an upgraded heat pump system that allows one outside unit to power multiple indoor units in a building. Each indoor unit can be controlled to its own temperature setting as the VRF pushes heat from one unit to another. VRF is now standard in most new construction in Europe, Asia, and other countries. In the U.S., it has gained popularity in large urban settings where it’s used in retail stores, office buildings, and high-end residential properties. Energy efficiency. 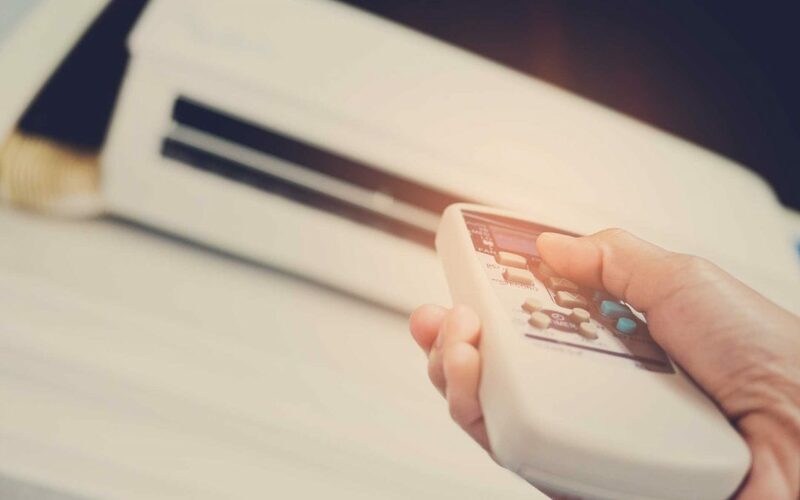 Because the vRF runs at low capacity, runs only when needed and recycles the air it uses, it’s the most energy-efficient way to cool or heat a multi-unit building. Quiet operation. Both the outdoor units and the indoor fans of a vRF run very quietly. Simultaneous heating and cooling. A vRF allows different rooms to be at different temperatures, and it gives even heating and cooling to each one. Smart controls. Every residential vRF includes smart technology that allows users to control the temperature from a mobile phone app. In commercial settings, units have built-in controls that allow for set-it-and-forget-it maintenance. Multi-unit residential buildings can also be set to automatically determine how much energy each tenant is using, and charge accordingly. Built for business. Because they were designed primarily for use in urban settings, vRFs are compatible with all commercial uses. Clean air. vRFs produce clean air that’s largely free of pollutants. They also use refrigerants that are not harmful to the ozone layer. Along with their high energy efficiency, that makes them ideal for property managers or owners who want a “clean and green” HVAC system. Design Considerations. One outside unit powers all of the indoor units, so you don’t have to destroy your building’s architectural design with a bunch of clutter. That also means fewer units to worry about when it comes to maintenance and cleaning. Are There any Downsides to vRF Systems? Installation issues. There are some drawbacks to a vRF. These are usually the result of improper maintenance or installation. Because the technology is fairly new to the U.S. and is still developing and changing, it can be difficult to find installers who are skilled and experienced in putting these systems in. Leaks. A typical vRF might have thousands of feet of pipeline and wiring, and hundreds of connector and flare joints. These all present opportunities for leaks if the system isn’t monitored and correctly maintained. Supplemental heat. Buildings in locations that get extremely cold weather might need supplemental heat. Some buyers add radiant-heat floors or other elements to boost the warmth. Is a vRF Right for Your Property? You understand that a higher front-end cost could lead to significant savings down the road. You can find contractors who are knowledgeable about installing vRFs. You are interested in an energy-efficient, environmentally friendly HVAC system. You have a multi-unit residential or commercial property that you’d like to keep properly heated and cooled with very little maintenance on your part. You want your building to have cutting-edge, smart systems. As a commercial property owner or manager, you know how important innovation is, especially when that technology can help you save time and money. At CaseCo, we keep up with current developments and future trends as part of our service to our customers. We stay knowledgeable and we gain experience in any trend or technology that will create more value for your property. If you’re interested in exploring how a vRF or other construction innovations can work for you, call CaseCo today.